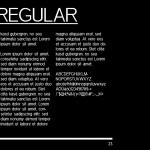 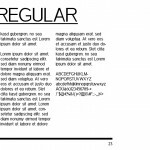 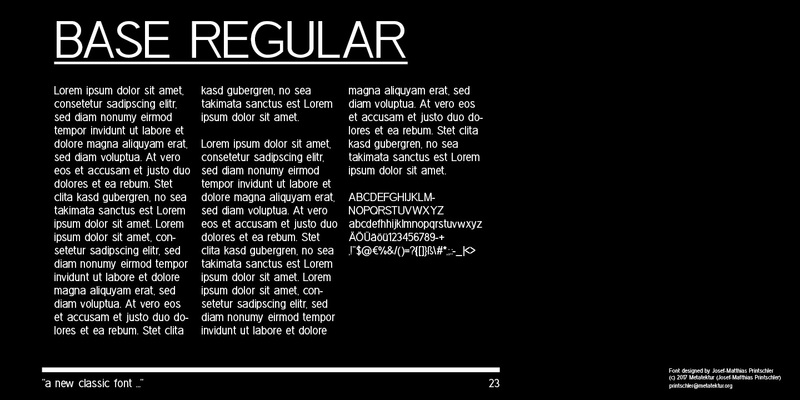 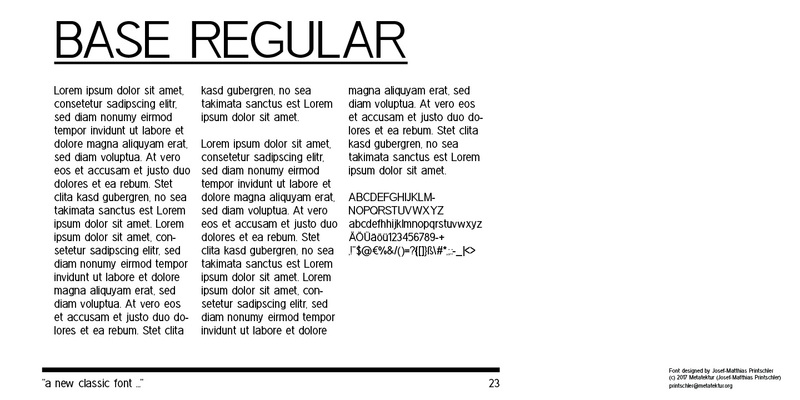 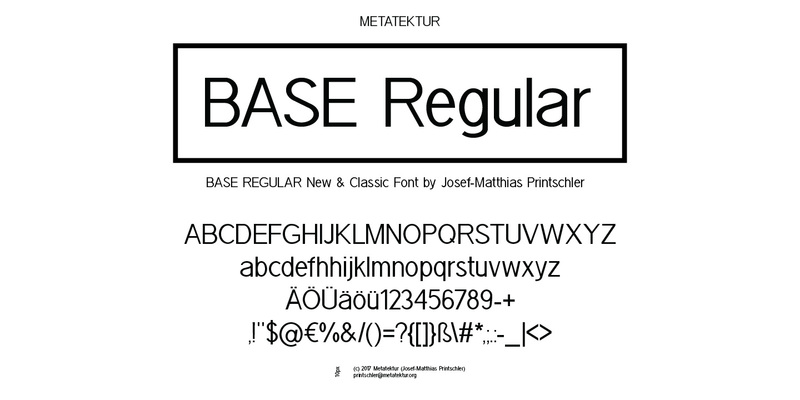 In order to release some new publications we decided to create a own „serious“ font, one output of the ongoing working proces on a unique METATEKTUR font (a font is like space, or what?) 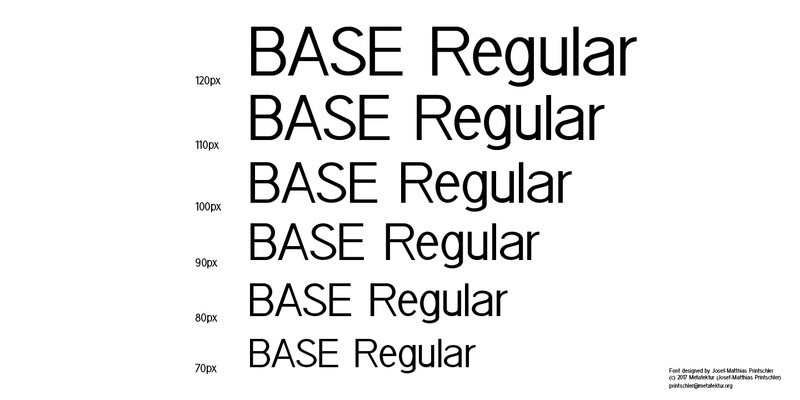 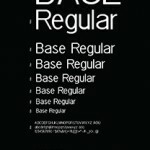 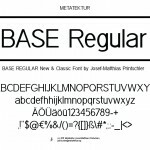 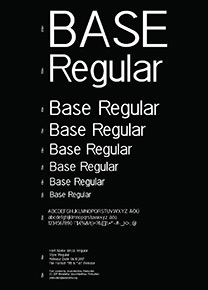 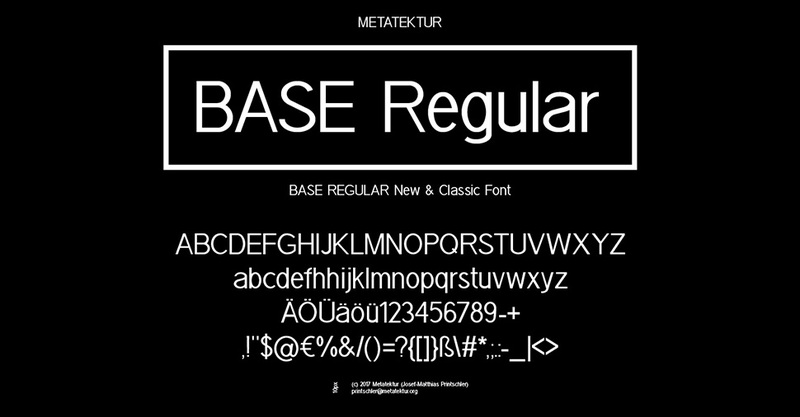 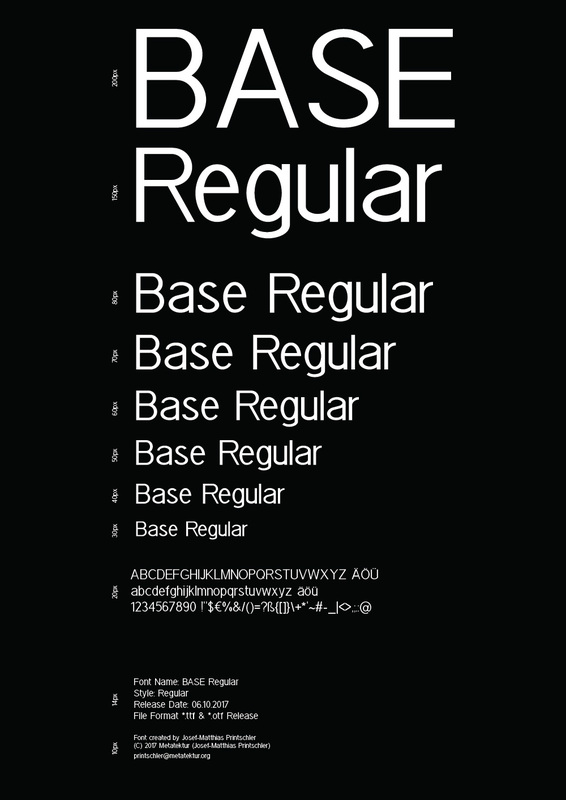 is the „BASE Regular“ Font. 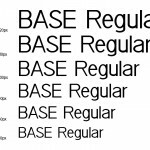 A simple, and in our opinion, classic font. Its yet not tested in publications but it seems stable. 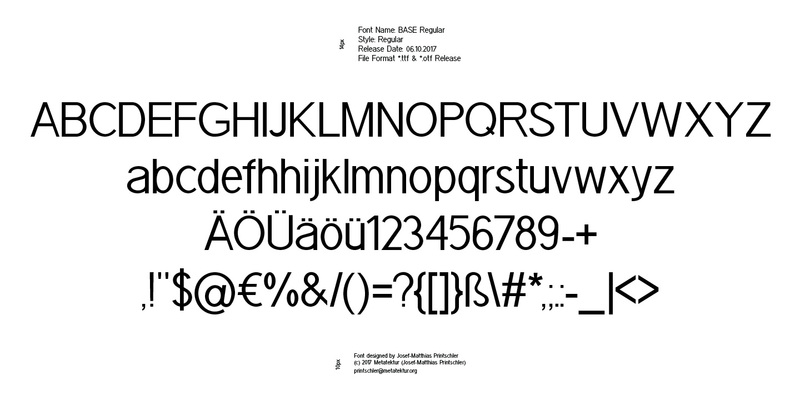 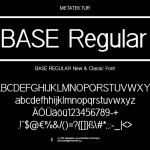 We decide to share this font (under a CC-License) with you, feel free to use!